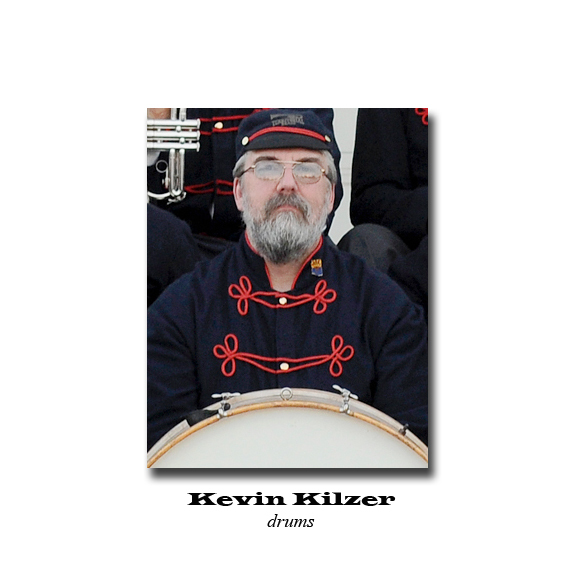 a musical voyage back to the golden era of town bands, with stirring renditions of original arrangements." TERRITORIAL BRASS was formed in February 1987 and was quickly recognized by museums across Arizona as an entertaining living history resource. 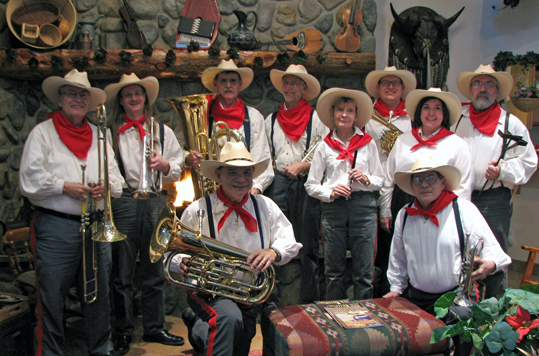 Dressed in turn-of-the-century costume (modeled after the Prescott and Bisbee brass bands), TERRITORIAL BRASS recaptures the golden age of the American town band. 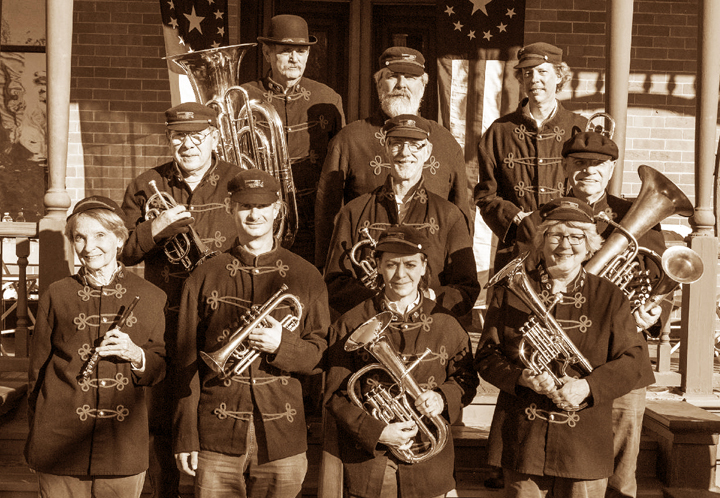 This twelve member ensemble specializes in 19th century American brass band music, playing authentic arrangements from 1835, through the Civil War, to Arizona's year of statehood. 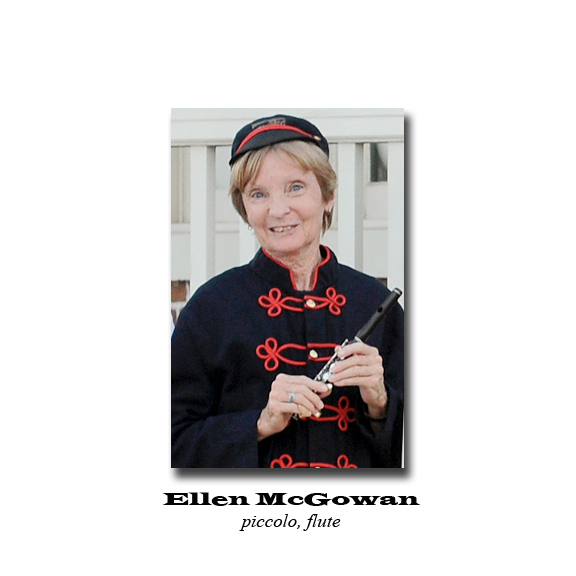 Popular songs of the period are rendered by a soprano vocalist. For indoor concerts, the music program incorporates slides of vintage photographs of Arizona bands and daily life in the territory. 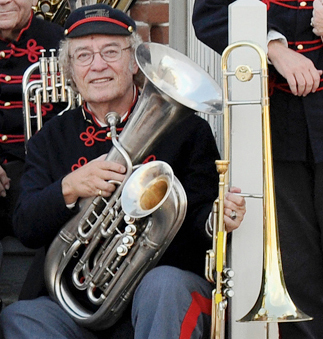 Among the instruments often featured is a 1911 double-bell euphonium. 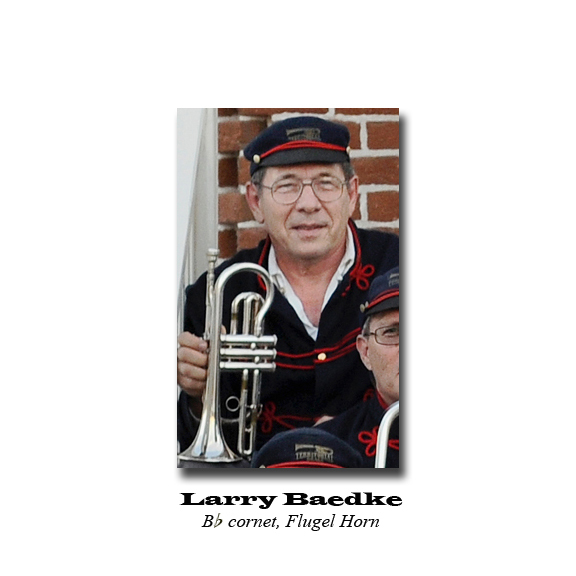 To learn more, the Library of Congress has an excellent overview of the American Brass Band Movement . 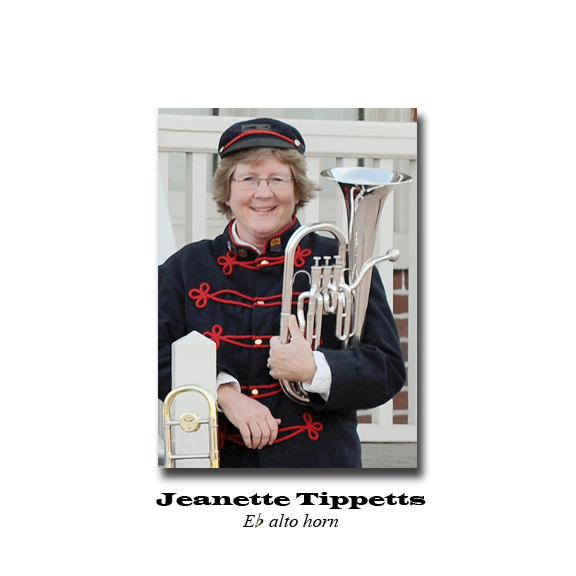 It is the goal of TERRITORIAL BRASS to replicate the brass bands that were active in Arizona and New Mexico during the territorial period. 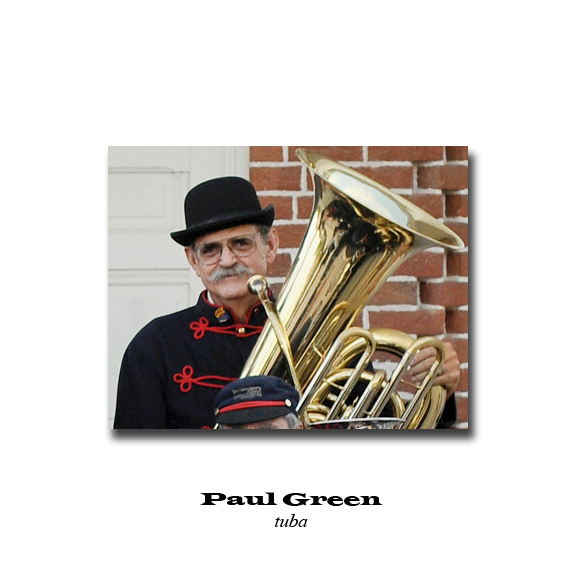 Brass bands were organized in the settlements of Prescott, Phoenix, Tucson, Tempe, Mesa, Yuma, Kingman, and many of the mining towns such as Bisbee, Morenci, Jerome and Globe. There are over 300 original 19th century works in the Repertoire of TERRITORIAL BRASS. 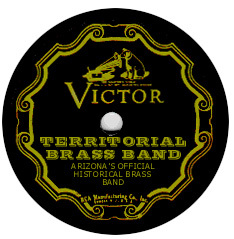 Music played by Arizona and New Mexico's territorial bands and written by Arizona composers, such as Achille La Guardia (Fiorello's father) and Federico Ronstadt (Linda's Grandfather), are being researched and collected by TERRITORIAL BRASS, and programmed into each concert. 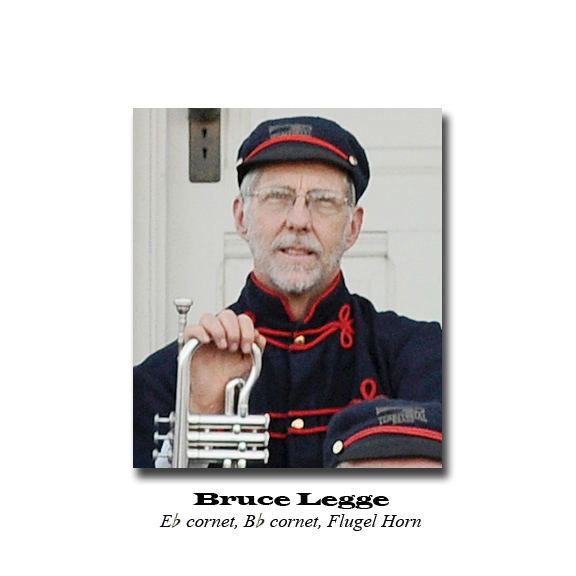 Our research of the Arizona's earliest beginnings of the brass band movement in Prescott was published in the DAYS PAST feature of the Prescott Courier, sponsored by Sharlot Hall Museum. 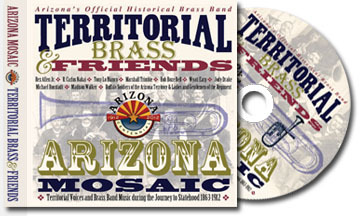 ARIZONA MOSAIC is our new CD, an official Legacy Project for the Arizona Statehood Centennial in 2012. 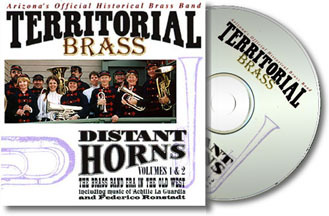 DISTANT HORNS, VOLUMES 1 & 2, THE BRASS BAND ERA IN THE OLD WEST, is a compact disc recording that documents the band music heritage of Arizona and New Mexico. It features compositions by Achille La Guardia and Federico Ronstadt never before recorded. The Volume 1 portion of the CD was recorded in 1991. 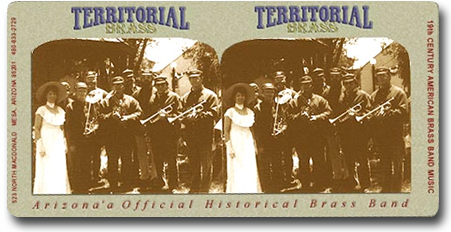 In 1995, TERRITORIAL BRASS recorded the soundtrack for the historical documentary, LA MERA FRONTERA. This music is represented on the CD as Volume 2. Retail outlets for ARIZONA MOSAIC include the The Musical Instrument Museum (MIM) in Phoenix AZ, Sharlot Hall Museum in Prescott AZ, and the Courthouse Museum in Tombstone AZ. 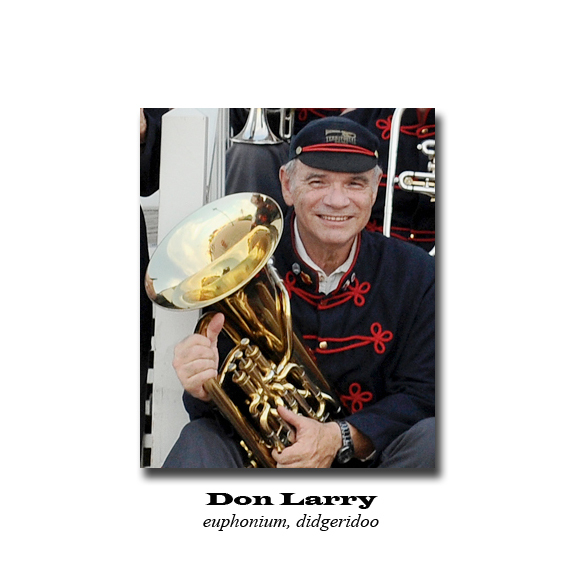 For mail order purchase send a check to the order of Territorial Brass in the amount of $15 for each CD with your address to Don Larry, 523 N Macdonald, Mesa AZ 85201. DISTANT HORNS is also available by mail order and can be downloaded from iTunes. ARIZONA MOSAIC in not yet available on iTunes but will be soon.